Get up to speed quickly with Dropbox, the ubiquitous cloud storage and file-sharing service. In this concise course, Keith Gilbert shows how to set up and configure Dropbox, and leverage its features to protect and share your files. Keith demonstrates how to use Dropbox for file backup, synchronization, version control, collaboration, and photo and file sharing. 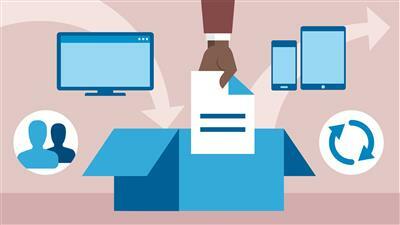 He also shows how Dropbox can extend the power of apps on your mobile devices. DISCLAIMER: This course includes trademarks owned by Dropbox, Inc. This course has not been prepared, approved, or endorsed by Dropbox, Inc.